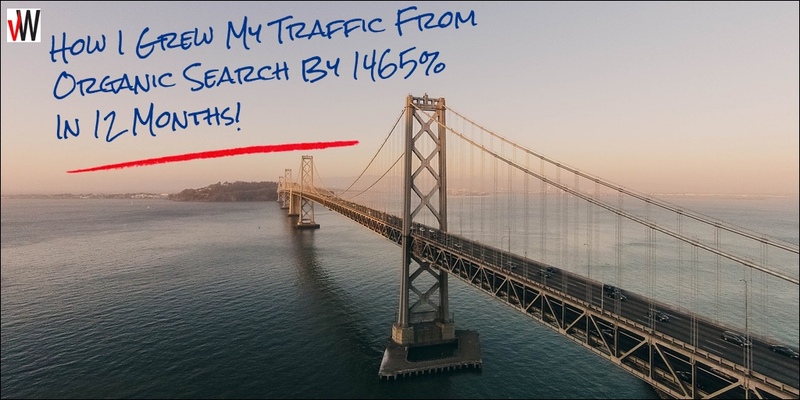 Today you’ll learn how I grew the amount of traffic I attract from organic search from just 52 visitors 12 months ago, to 814 visitors clicking through from the SERPs last month. That’s an increase of 1,465% within the space of a year – or nearly 16 times the amount of traffic. If anything, the traffic growth could have been a lot more. As I’ll show you, for the first three months my publishing schedule was in fact just one post a month! And even once I moved to once a week, the odd week was missed here and there. In the end, we’re actually talking just 35 new posts over the 12 month period. But the result is that the blog now attracts hundreds of new visitors every month through the search engines, and that will only continue to climb. Had I published the full 52 posts for a year’s worth of weekly publishing – a full third more posts – my traffic may have been a third higher too, nearly 1,100 a month from search. The exact stats, how they’ve grown over the course of the past 12 months, and how that relates to the growing number of posts I’ve published. I also show you what they looked like for around a year and a half before that, along with some analysis of each stage, so you get the full picture. How to harness that traffic, as it grows, for business purposes. There’s little point attracting traffic for traffic’s sake. How the content created for your blog isn’t just for your blog. Find out how you can leverage it for a wide range of marketing activities. And I wrap up up with five key takeaways you can apply to your own business. It’s important to note of course that every niche is different. So a blog on a different topic and serving a different market could achieve 10-times the results I’ve got here. Or not. It completely depends on what you’re creating content about, the size of your market, what competing content already exists, the quality of the content you’re putting out there, other promotional activities, and a whole range of other factors. So let’s have a look at the all the figures. In February 2015, I received a grand total of 52 visitors clicking through from the SERPs. That’s less than a couple visitors a day on average. Twelve months later, January 2016, and that had climbed to 814 visitors from search. Or nearly 30 visitors a day on average. So quite a difference. More specifically, it’s an increase of 1,465%, or 16 times what it was before. And all for less than a post a week over 12 months. There’s no particular magic involved. I simply created content regularly. More content means more opportunities for your site to show up on Google across more search terms. So higher traffic levels are a virtual inevitability. There’s a high in August, from which it dipped back down in September (though still higher than July). November and December plateaued out, doing little in comparison to October. It’s easy during the ‘dips’ or traffic plateaus to lose heart, and miss the general trend. The key is to keep focused on the longer term and keep going with the strategy. It works. Sure enough, in January traffic rose again, with over a hundred more visitors than the month before. It helps to understand what came before, and to understand the full picture. In truth, while I only had 52 visitors from search in February last year, it had been higher previously. Though, as I’ll show you, these visitors were mostly unrelated to any blogging activity. 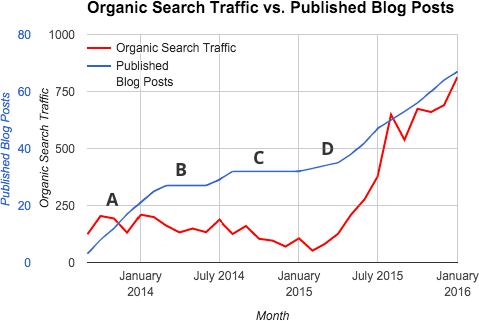 Here’s a chart that compares organic search traffic levels with the number of published blog posts, and how it changes over time. As you can see, once I was publishing content more consistently and the site had been established for a while (point D), search traffic began to rise nicely. However, let’s examine this data in more detail so you can better understand what was happening… and hopefully gain some insights you can apply for your own business. This was where I spent an initial six months or so blogging consistently with one new post a week. As a new site, the intention was to largely introduce it to the search engines, build some initial search listings, and just to build some initial credibility. As a new site, it was unlikely to attract much traffic at that point, and was largely about laying down some foundations for the future. By the time I was ready to start blogging more consistently a year or so ago (D), the site already had some longevity in the search engines, and started to gain rankings and traffic more quickly. During this time I published 27 posts, though only about 10-15% of the initial traffic you see on the chart above was to the blog. The vast majority of visits were for other pages on vWriter.com. This traffic was largely related to some market testing for vWriter when it was in an early stage of its development. People were looking up the site on search as a consequence and clicking through. During these three months, no further content was added to the site. Looking at the traffic levels, these declined a little over that time period. However, on looking at the underlying data, search traffic to the blog increased to around 35-40% of the total, and the decline is mostly due to fewer people clicking through to the main site from search than previously. In other words, traffic to the blog itself from search was beginning to climb, despite the lull in activity. A handful of additional posts were added to the blog in July and August in an attempt to keep it going while vWriter was still being developed. However, as this was only for a short period it had little benefit, and was followed by another six months or so when no further content was added. There is in fact a marked decline in search engine traffic, which bottomed out at around 50 or visitors from search in February 2015. The proportion clicking through to the blog stayed at roughly 40% of the total, so it was a general decline across the board. The decline in traffic is to be expected, and is a common experience if you stop creating new content for a while. It means the site starts to lose authority, more active sites appear more relevant and begin to supplant it in the search engines, and your traffic starts to dip. When I first started Quick Sprout, I blogged every week. I was very consistent, and my traffic was slowly growing over time. But then I got busy, and I stopped blogging on a consistent basis, which caused my traffic to stop growing and sometimes even decrease. In essence, Google prefers sending traffic to regularly updated sites, as it’s a better experience for the user. The overall lesson is: consistency counts and is one of the most important aspects of blogging successfully. The good news however is that the previous publishing lull did no long-term damage. As soon as I started creating new content again, traffic began to rise comparatively steeply. By this time, the site had some longevity, and new posts were ranked and began to attract traffic relatively quickly. Even so, my renewed blogging activity was fairly tentative at first, with just a single post published in each of February, March and April 2015. There was also some additional marketing activity, resulting in more people looking up the site on search. So, although traffic was increasing overall, it wasn’t solely down to new blog content, with the proportion landing on the blog staying at roughly 40%. However, from May 2015, this began to change radically, with the blog attracting a much bigger slice of the pie. I was finally able to get into a more frequent blogging rhythm, was blogging more consistently on a once-a-week basis, and the blog began attracting a lot more traffic. From June to August 2015, only about 30% of the traffic was for the main site (a big swing from the previous 60%! ), with the remaining 70% clicking through to the blog. In other words, the blog posts were really starting to have an effect in attracting increasing numbers of visitors from search. 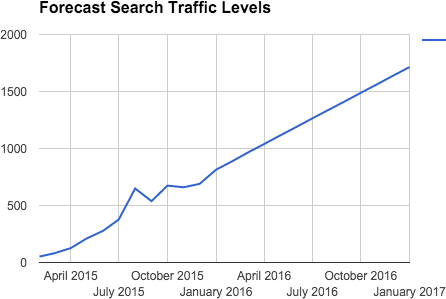 For the following three months, September to November 2015, over 80% of the traffic from search was coming through to the blog. In other words, blogging has been responsible for the big rise in organic traffic over the past 12 months. If anything, as I mentioned earlier, the traffic levels to the blog could have been higher, had I been more consistent with publishing on a weekly basis. With only a single post a month for February, March and April, and the odd week missed since, there have actually only been 35 posts published on the blog over the 12 month period, not the 52 you would expect. So 17 missing posts – a full third of the potential total – I could have otherwise now been taking long-term advantage of. It’s a good lesson in the importance of consistent, regular publishing for long-term gain, with the overall results a strong encouragement in the right direction. This is a general overview of my approach for creating content, in order to help optimize my visibility on search and potential traffic levels. With most of the content I create, my focus is on creating a long-term content asset for my business. I’m less interested in creating content that might do well on social for a short period for example, but then fall out of sight and fail to deliver much benefit longer term. Research shows that longer content tends to get ranked higher on search. Plus, you have more material with which to then share it on social, more reasons for people to link to it, and can attract more rankings for the content across a wider range of keyword terms. 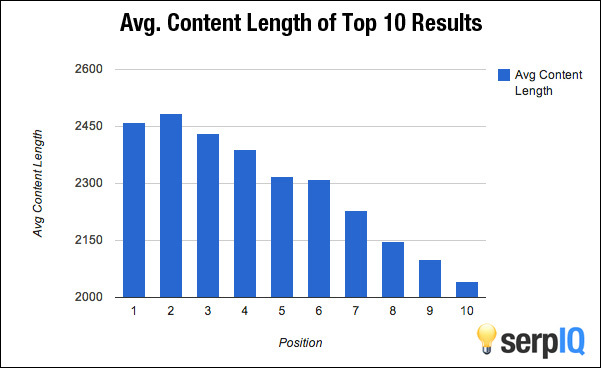 Research from serpIQ that shows longer content tends to achieve more prominent rankings. So with long-term traffic in mind, I generally create long-form content, mostly 2000-3000 words at least (this post for example is over 4,500 words). It means I cover a topic in depth, give more value to the visitor, and it’s an excellent investment of time for future traffic levels. I always now include a Featured Image with the post. This image helps attract engagement and click-through on social, plus it can be re-used when the content of the post is repurposed (more on content repurposing below). For example, the image can be used as the cover image when the post is converted into a SlideShare and/or video. Within the post itself, I avoid using images just for the sake of using images, but include relevant graphics where they add value (for example, the charts above) or otherwise help retain visitors for longer. The use of images helps engagement with your content, encourages visitors to stay longer, and generally helps your ranking. Plus they build your visibility on Google Image Search, as well as standard Web Search. I’ve started adding content upgrades to many posts. These are opportunities for visitors to get some further information related to the post in return for their email. I can then continue to communicate with them and build up the relationship. In other words, it attracts more leads into the business. Ultimate Guide To Social Meta Tags – offers a ‘Social Meta Tags Cheat Sheet’. How To Promote My Blog (10 Must-Do Steps For Every Post You Publish) – offers the steps as a single page checklist. 57 Ways To Generate New Blog Content Ideas – similarly, offers the list as a single page PDF to use as a source of reference. It can be as simple as offering a PDF version of the information in the post. It’s a great way to convert more visitors into leads – see the section below on blogging for business. It builds deeper relationships with existing leads – those already on my list can also take advantage of the content upgrades of course, and it’s another way to deepen my connection with them. Using the Yoast plugin, I optimize the meta description for each post. This is often used in the SERPs, and can make a big difference in terms of the click-through rate (CTR) for your listing. Using the Yoast plugin to optimize the meta description. Higher CTRs can lead to higher rankings over time – the CTR rate sends a message to Google about the relevancy of your web page. So I adjust the meta description to make it sound as enticing as possible for someone to click through. Not all my posts are keyword-led (paradoxically writing for the visitor rather than the search engines ultimately brings you more search traffic), but I often do some keyword research to help determine what to write about. For example, I may have an idea on Topic A, but find that the related Topic B has much more traffic potential and lower search engine competition levels. It would be crazy not to take advantage of that kind of information. So I’ll then use Yoast (again) to help optimize the post for the keyword. However, I’m careful not to over-optimize, which would damage the quality of the content for the visitor, and damage my search engine visibility. In truth though, your posts will attract traffic across a whole range of different search terms. It’s just something to bear in mind, that’s all. NOTE: For more info on how to do this, download my free 8-page Special Report: How To Do Effective Keyword Research To Optimize Your Content And Attract Your Marketplace. Yes, publishing more content has marked affects on your traffic levels. But you’ll also find, if you approach it in the right way, the content you’ve already published improves in ranking over time and attracts steadily increasing traffic levels. In brief, the ranking for any web page is in continual flux simply because the information that affects its ranking is also continually changing. To ensure those ranking changes head in the right direction, you need to send the right messages to Google as follows. The more content your site has over time that delivers real value for the visitors who come to your site, the more its authority increases. So again, consistency of publication, the value of your content, and the longevity of your site really count here. Plus, more content means you have more opportunities to link internally between posts on your blog. That helps inform the search engines what the posts are all about, and helps rank them for a range of different keywords. What’s more, through repurposing the content (more info below) into other forms such as articles for LinkedIn Pulse, you get natural links from third-party sites to your blog’s content. This builds a rounded link profile and helps your rankings and overall authority. So focus on building your social followers, your ‘audience’. Share your content regularly with them (it’s difficult to build influence on social if you have nothing to say – content’s at the very heart of it). And more blogs and other sites link to your content, further supporting your rankings. It becomes a virtuous circle that both sustains and further builds your traffic. Keep the content relevant and engaging by updating it regularly. For example, as you are creating new content, link back to relevant posts you’ve published previously. As you do so, you may notice mistakes in the older post that you’re able to correct, statements that are no longer true, additional value you can add, and so on. The aim is to have someone clicking through from search stay on your site for as long as possible. That tells Google your content is still relevant, and means your content has to give as much value as possible and not give someone a reason to quickly click back to the SERPs. 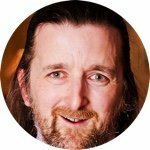 Where Will This Blog Be In 12 Months’ Time? But by calculating average increases in search visitor numbers over the previous 12 months, and using that as a basis to forecast forward, the site should be heading towards 2,000 visitors from search every month this time next year, if I just keep doing what I’m doing. However, I’m aiming to go one step better. My initial goal is to hit at least 1,000 a month from search, which I should reach within the next 2 or 3 months. At least 3,000 visitors a month from search within the next 12 months. 10,000 a month within the next 2 years. 1,000 day within the next 3 years. That’s just search traffic of course. Firstly, this blog is still in its infancy, and hasn’t reached 100 posts yet. The more posts I publish, the more authority the site will gain, and the higher rankings it’s likely to achieve. In other words, the rate of increase is likely to accelerate over time. Publishing content more often – so at least a post a week for 12 months and beyond, which means at least a third more content output than the previous 12 months. Building social authority – building my audiences on social through a mixture of paid and organic methods. The more relevant followers you have, the more you are generally able to create ‘traffic at will’ to your content. This indirectly benefits search engine traffic through more potential links to your content, e.g. from other blog owners who are following you, or who come across your content from reshares and so on. Continuing to focus on list building – in a similar way, by sharing my content regularly with my email list, a proportion will link to it in various ways, helping my rankings. All that content you’re creating for your blog provides enormous opportunities to reach your marketplace wherever they are – rather than waiting for them to go to search and hopefully click through to your site at some point. That’s increasingly important for a number of reason, not least because however good all the traffic from search might be, dependency on it is dangerous (as many businesses have discovered to their cost over the past few years). So you repurpose the content, systematically, and distribute it far and wide in different forms and media – YouTube, SlideShare, LinkedIn Pulse, Facebook Notes, Medium, and tons of other content sites – and enjoy streams of high quality traffic that’s completely independent from your search engine rankings. Content repurposing helps you avoid that dependency, while at the same time helping you create the kind of authority site that will naturally do well on search for the long-term anyway. As a business, that’s a nice, comfortable position to be in. UPDATE: Need some proof content repurposing actually works? This blog post was repurposed into a LinkedIn Pulse article and a SlideShare presentation. Within just 24 hours or so, the Slideshare had attracted thousands of views, and the LinkedIn Pulse article several hundred, along with hundreds of likes and shares. These are all people I wouldn’t have otherwise reached. I reached hundreds of people I wouldn’t have otherwise reached by repurposing the content for LinkedIn Pulse. And thousands via SlideShare! This helps search traffic indirectly, by providing authority indications to Google, and reaching people who may link to the content on my site from their own blogs and web sites. Don’t Forget… You’re Blogging For Business! Many ‘bloggers’ are blogging for its own sake, eventually hoping to turn the traffic they attract into some kind of income. Lack any actual products or services to sell. Lack the expertise and experience needed to sell successfully from a website (half of those taking the survey had been blogging for under two years). Were largely reliant on advertising or affiliate income (e.g. linking to related Amazon products). (Click here for full information on how to monetize a blog properly). 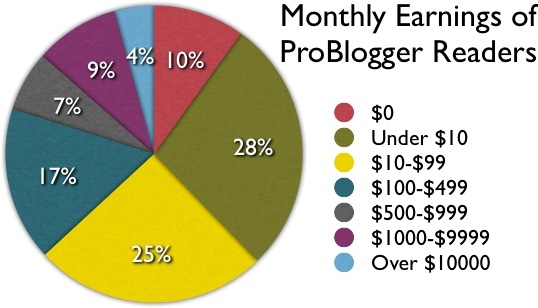 Monthly earnings for bloggers based on a ProBlogger survey. My own focus however, in common with many other business owners, is about harnessing the power of blogging to support an existing business. In other words, using a blog as simply another marketing channel through which I can attract targeted traffic. (See my related post: How to Blog for Big Money). But the good news is that blogging enables you to take advantage of these other marketing channels more easily and effectively. Native advertising involves paying to give your content a wider audience, but in a way that means it doesn’t really look like an ad. For example, boosting a post on Facebook, promoting a Tweet, and various native advertising networks like Outbrain and Taboola. Presuming your content is primed to convert some of that traffic into leads for your business, this can be some of the most effective advertising available. It’s particularly useful for reaching Millennials, now the biggest generation in the US, and largely resistant towards more traditional advertising. Get all the answers you need in this essential FREE guide, Special Report: The Rise of the Millennials. What’s more, you can follow up with the targeted traffic reaching your blog with a retargeting advertising campaign. 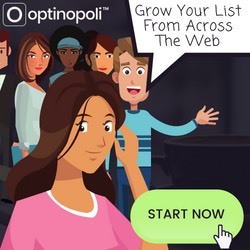 This shows ads to your visitors as they visit other sites online, and can help for example in converting more of the traffic you’ve received into leads for your business. Obviously, blogging itself is a key component of content marketing. But it is just one aspect. As described above, by repurposing the content on your blog in a systemized way, it allows you to reach much wider audiences. Plus, in creating a stream of content in different forms, in different media and on different web sites, you’re able to share a range of updates on social that help build your authority, credibility and social communities. 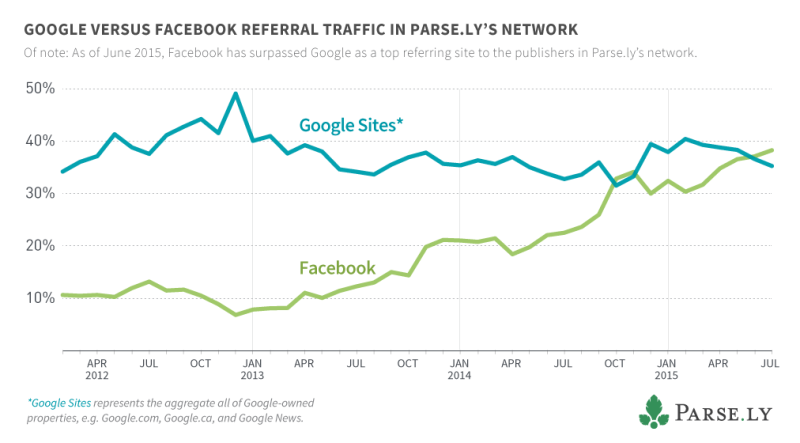 For all the benefits of traffic from search, there’s increasing evidence that social is now driving more traffic. Blogging and related content marketing activities give you all the content you need to take full advantage. The traffic you attract is of course only valuable to you as a business if you’re able to convert that traffic into leads. You can then continue to communicate with these leads to build your relationship, and sell products and services to them over time. Again, your blog gives you all the content you need to keep in front of them, remind them you exist, and build your authority and credibility. In practical terms, with 1,000 visitors attracted to your blog each month from search alone, and say an average 5% lead conversion rate (more than 20% is possible! ), that’s 50 new targeted leads a month. With 10,000 visitors a month, that multiplies to 500 leads a month and becomes increasingly lucrative. Remember, there’s no ongoing advertising expenditure for these leads (though you can boost things significantly through say native advertising). What’s more, leads resulting from content found on search are around 9 times easier to convert than leads coming through via more traditional advertising methods for example. Is there a better investment you could make for your business over the next year or two? As I’ve hopefully illustrated through sharing my own initial results here, each time you create quality content for your website you’re investing in your business’s long-term success. It’s never too late to start. What would a 1,500%+ increase in search engine traffic over the next 12 months do for your business? Momentum starts to build as you get going. As you start seeing results, it encourages you along. Plus, the more you do, the better you get at it. Repurpose content in different ways over time to maximize the value you get out of the time and/or money you spent on it. It’s also easier and cheaper to outsource this repurposing than it is for creating the original piece of content. By publishing content in a range of places and linking back to your site, you’re not just attracting valuable traffic from those sites directly, you’re also supporting a long-term and powerful SEO strategy. In fact, it means you are creating the type of authority site that Google wants to give prominence to in its rankings. The easiest and most cost- and time-effective way to do this is through content repurposing. So don’t just do a bit of repurposing once and then forget about it. Make it a regular, ongoing part of your marketing strategy. My “Be Everywhere” Online Marketing Blueprint gives you a road map for doing this. Traffic from search and from content you have elsewhere is some of the very best traffic you can get. So make the most of it by focusing on lead conversions… and on following up with those leads for sales conversions over time. In so doing, you’ll translate that traffic into profits for your business. (See just how profitable blogs can become by reading these 10 stories of six-figure bloggers). I believe embedding a video in your blog article helps a lot with SEO. Many people would rather watch a video than read 1,000 words. Also a video shows your products or services in action which is better than images or text alone. I also agree fresh content on a regular basis is what Google likes. Hi Norman, yes, the benefit of content repurposing is that you then have a related video to embed back into your blog post, give more value to visitors, and support your ranking further. Thanks for your comment! Same article I read on SiteProNews, but it is 5 times longer than that. I like your strategy. It is safe and working.